Enzo Casino Welcome Bonus gives away a generous 200% match bonus up to €1500 on your first deposit. 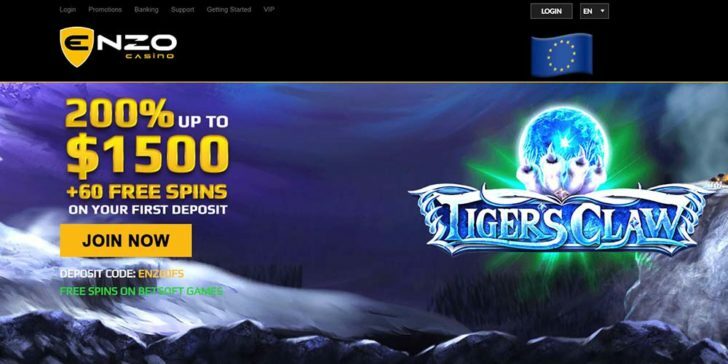 Moreover, there are 60 bonus spins on Betsoft games on top of the initial signup bonus. Claim! Claim at Enzo Casino!